Samsung is reportedly working on a new Chromebook dubbed as the Chromebook Pro which made its way on to the internet a few days back. The device is equipped with high-end specifications and is expected to launch in the coming weeks. 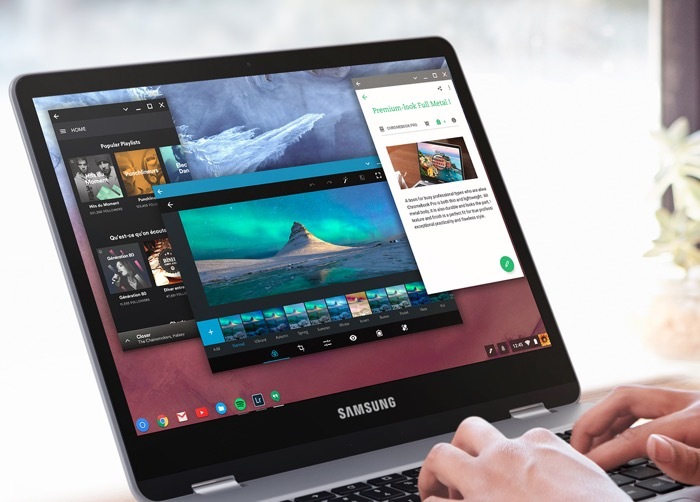 According to a new report, Samsung is reportedly working yet another new Chromebook which is expected to be better than the Samsung Chromebook Pro spotted earlier this week. The new alleged Chromebook is codenamed Caroline, and is expected to come with Intel Skylake processor under the hood. Additionally, it’s also expected to ship with a convertible form factor, similar to the Chromebook Pro, as well as a stylus. The details about what the Chromebook will come with is not available at the moment, nor its pricing or availability details. As for Chromebook Pro, the machine is equipped with a 12.3-inch display, a 2GHz hexa-core processor paired with 4GB of RAM and 32GB of internal storage as well as a stylus. We’ll update you if we get to hear anything more about the alleged device.